Renewable energy supplies are great because they produce power without filling the air with pollution. Yet, once the sun goes down solar panels become pretty useless. But Tesla and Hawaii have a solution that'll use the sun's rays both day and night using Powerpacks built at the Gigafactory. 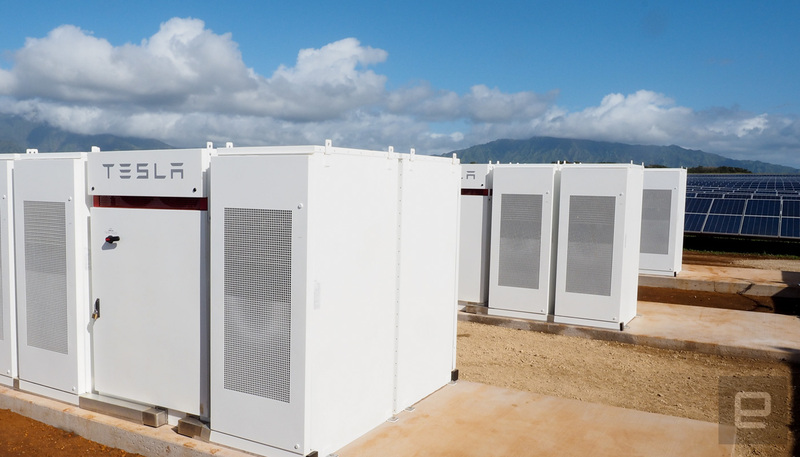 The Kapaia project is a combination 13MW SolarCity solar farm and 53MWh Tesla Powerpack station on the island of Kauai. In partnership with the KIUC (Kauai Island Utility Cooperative) the project will store the sun's energy during the day and release it at night. The station (along with Kauai's other renewable resource solutions including wind and biomass) won't completely keep the island from using fossil fuels but it will temper the need. 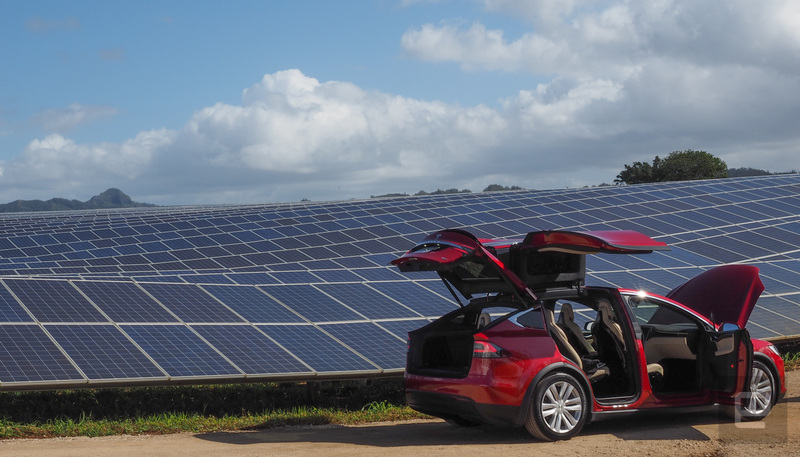 In addition to using Tesla's station to battle the island's incredibly high electric bills, it's also part of a long-term Hawaii-state plan to be completely powered by renewable energy sources by 2045. 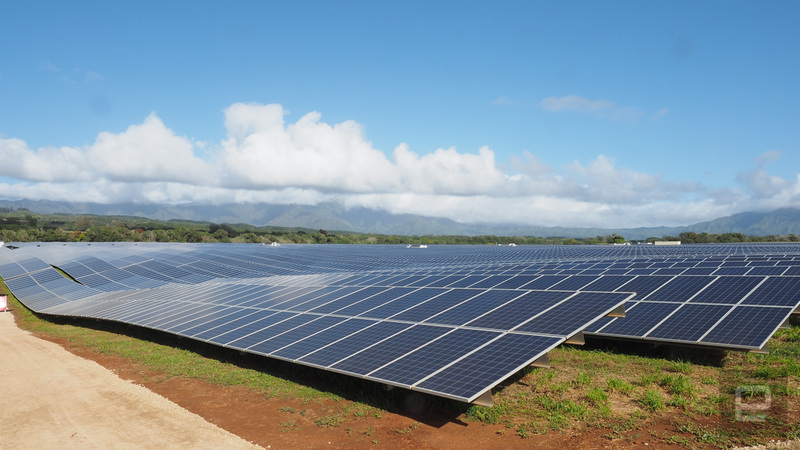 Kauai has its own goal of using 70 percent renewable energy by 2030. With this project the island is getting closer to that goal and can now produce 100 percent of the energy it needs during high usage mid days and low loads via renewables during a brief period of time. "This is the first time that solar energy can be delivered very reliably into the night. That's the key to scaling renewable energies up," said Tesla CTO, JB Straubel. The island state doesn't have the benefit of a massive grid like the mainland to pull electricity from sources hundreds of miles away. Instead each island has to take care of its own energy solutions. According to Tesla and the KIUC, the 45 acre Kapaia project will reduce the use of fossil fuels by 1.6 million gallons a year. This is the first big project from Tesla and SolarCity since the acquisition. Both companies believe this station is the biggest combination solar panel and storage facility in the world. With approximately 55,000 solar cells spread over about 45 acres, it'll be tough to find anything larger.